The Supreme Court on Tuesday asked the government why it did not exercise the legal option of allowing people to deposit the demonetised currency beyond December 30. Asking the government to explain why such a window was not given to those who could not adhere to the December 30 deadline for genuine difficulties, Chief Justice Jagdish Singh Khehar, Justice D.Y. Chandrachud and Justice Sanjay Kishan Kaul gave it two weeks to file an affidavit. "Why did you not exercise the option of opening another window (provided under law)? You may have 20 reasons," the court said and asked if it was going to give another chance to the people to deposit the demonetised notes, which they could not for genuine difficulties by December 30 deadline. The bench also referred to Prime Minister Narendra Modi's November 8 speech wherein he had said that those who would not be able to deposit the demonetised currency notes by December 30 deadline for genuine reasons would get another opportunity to do so till March 31. The court said this as Attorney General Mukul Rohatgi told the bench that Parliament did give the option to the government, but it chose not to exercise it. "I (government) didn't think it appropriate to exercise the option," the Attorney General told the court. Asking the Centre to file the affidavit, the court told the Attorney General: "Even though Parliament gave you the liberty to exercise the window (option) in respect of certain categories of people, you did not do it." 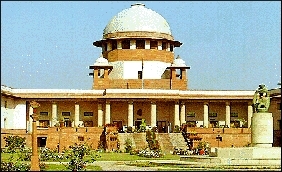 Telling the Attorney General that the government could not have closed the windows for depositing the demonetised currency notes without giving notice and exercise its discretion in an arbitrary manner, the court said that Parliament thought why waste time and it gave government the discretion to act. On this, Attorney General Rohatgi said that there was no need for giving any notice to the people for passing a law. The ordinance, which later was passed as law, under Section 4(1)(2), provides for a window for those people, who for genuine difficulties, could not deposit the demonetised currency notes by December 30 deadline.